Ready to rip in 27.5 or 29er with 140mm of trail taming rear suspension. 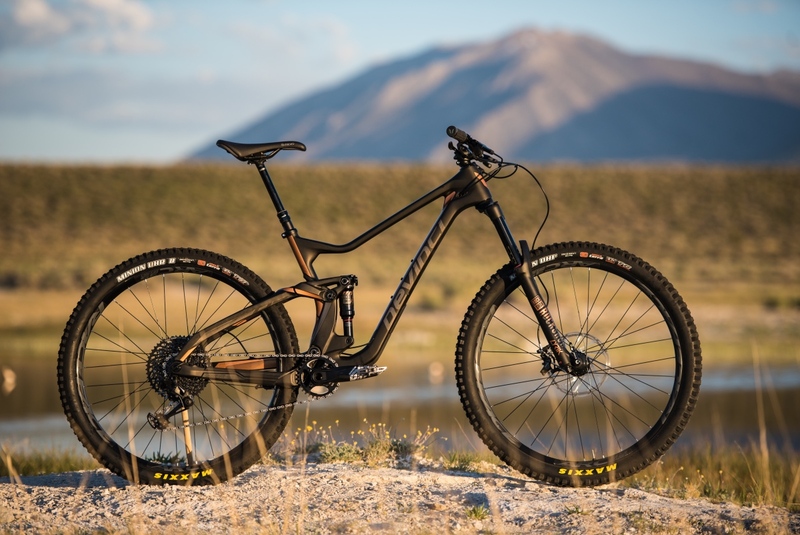 Powered by their testing is everything ethos, Devinci’s latest Troy all mountain bike boasts the company’s fifth generation split-pivot suspension platform, which is claimed to increase bottom-out force. 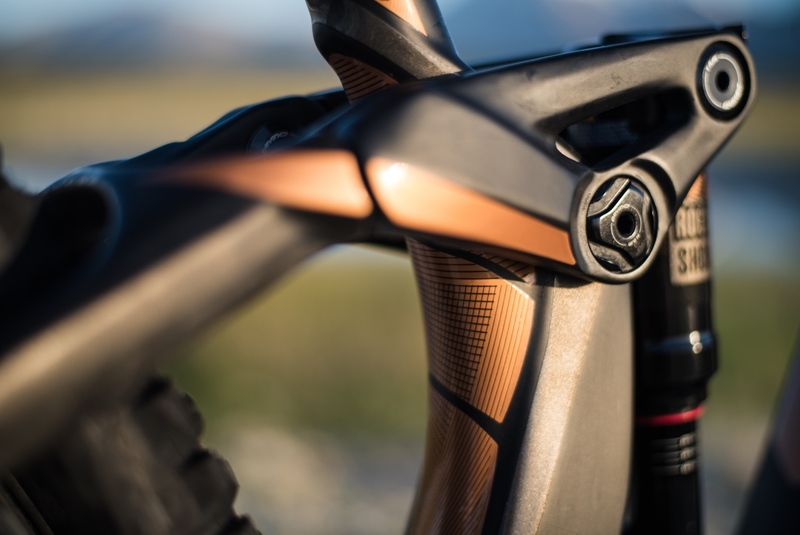 The new frames are 100% carbon including the rocker. Meanwhile, its team-inspired geometry, including a 66-degree head angle, is designed to tame steep, rugged, and unpredictable terrain, while stubby 432mm chainstays keep things playful and snappy. 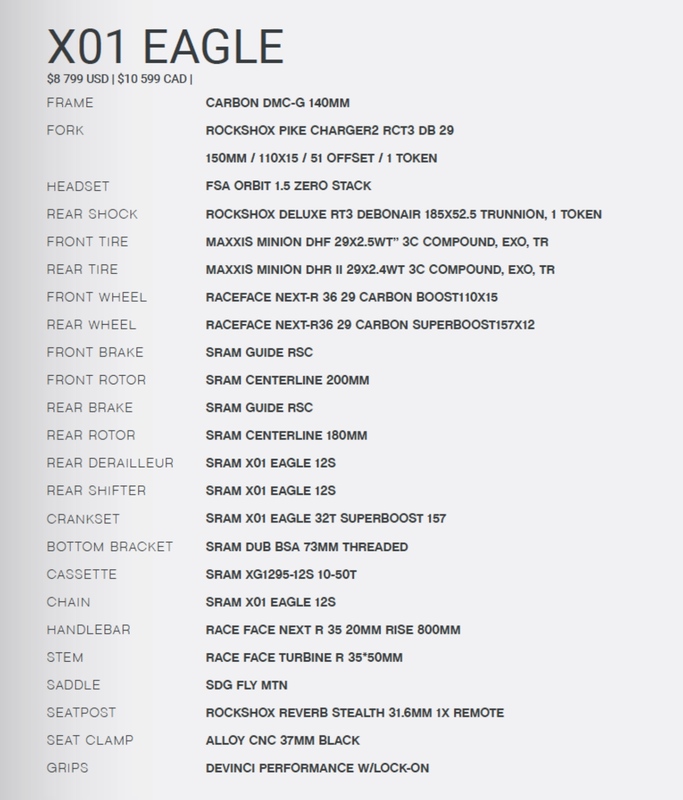 The bike is available in 27.5 and 29er forms. Suspension travel is 140mm rear, and 150mm or 160mm front depending on the build. Here’s a rundown of other key features. The split-pivot design is aimed at increasing bottom-out force. 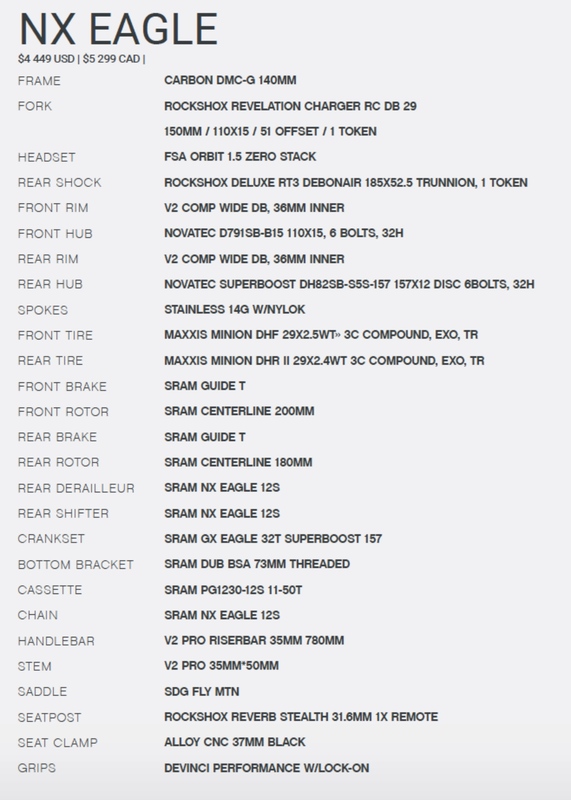 Prices for the carbon framed bike range from top of the line SRAM XO1 Eagle build for $8799, to a less eye watering SRAM NX version for $4449. Frame and fork are $3249. There’s also an aluminum frame model set for release in late fall. 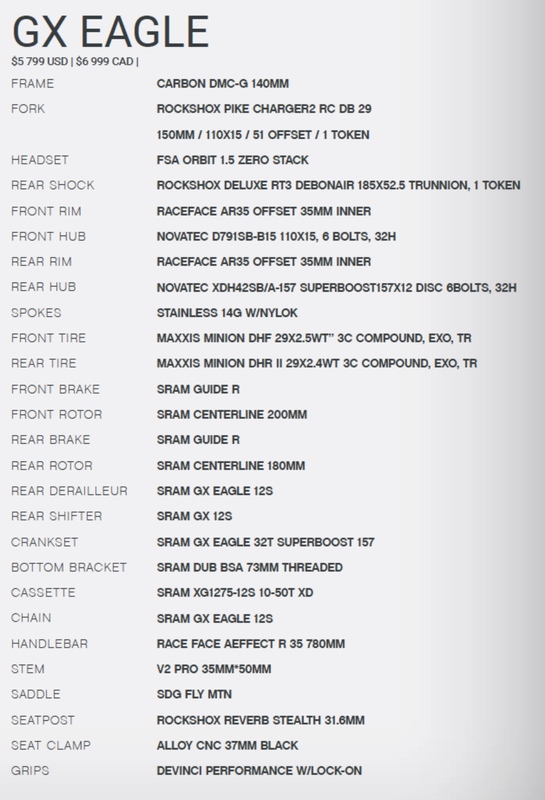 It will have the same 140mm/150mm travel set-up, and will also be available in 27.5 and 29er with SRAM Eagle GX ($3749) and SRAM Eagle NX ($3199). 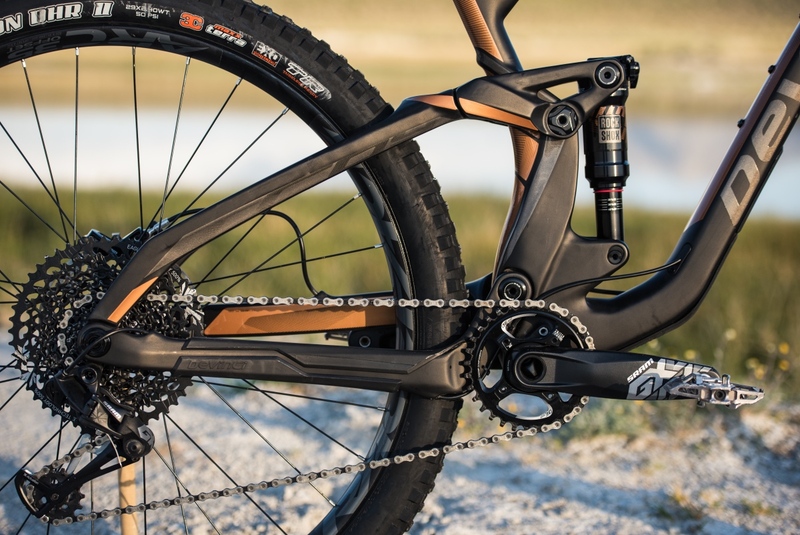 The alloy frame and shock will sell for $1999. 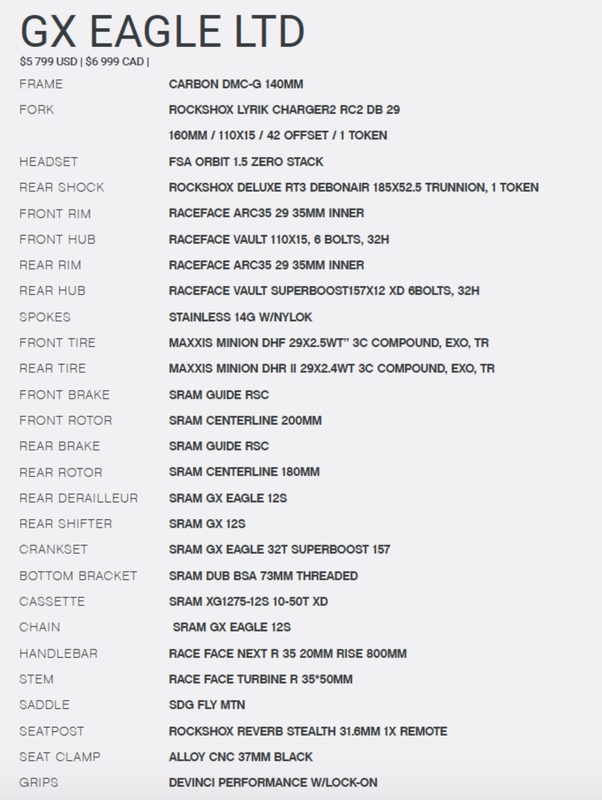 Scroll down to see complete build specs on the carbon bikes. For more info on the Devinci Troy head to www.devinci.com. I like the dark orange accents!